Looking to discover tips and explore your newest resort in the Club? Shoal Bay, Port Stephens, NSW – it conjures up visions of turquoise water, sparkling white sand; in short, everything you’re looking for in your next holiday destination. When first driving in to Port Stephens, visit Gan Gan Lookout for breathtaking 360-degree views of the town. Go snorkelling at Fly Point, just a few minutes drive from your resort. 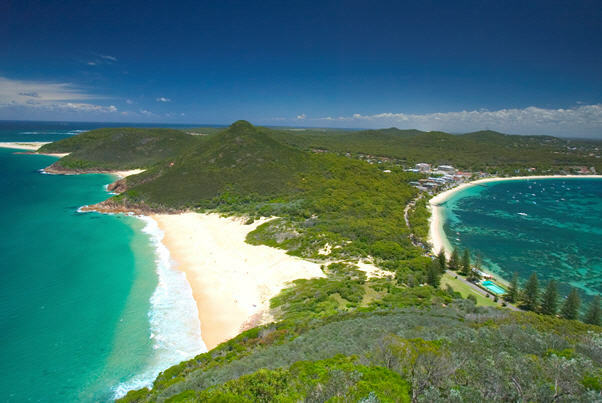 Take in the incredible view of Shoal Bay by walking up to the Summit of Tomaree Headland. Amble along Zenith Beach, strolling distance from your resort. Taste the amazing local seafood at the Marina. Check out Ramada Resort Shoal Bay on your Owner website for more info, Credit charts and book your holiday today! Shoal Bay looks lovely! My bucket list has just grown a little longer. Best of luck to you, and happy travels!